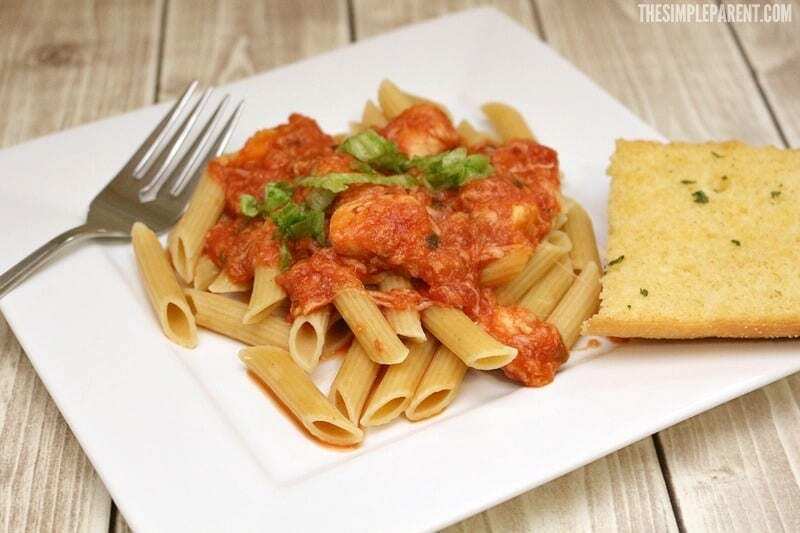 Home » recipes » Easy Chicken Penne Pasta Recipe is Quick, Easy, & Family Friendly! 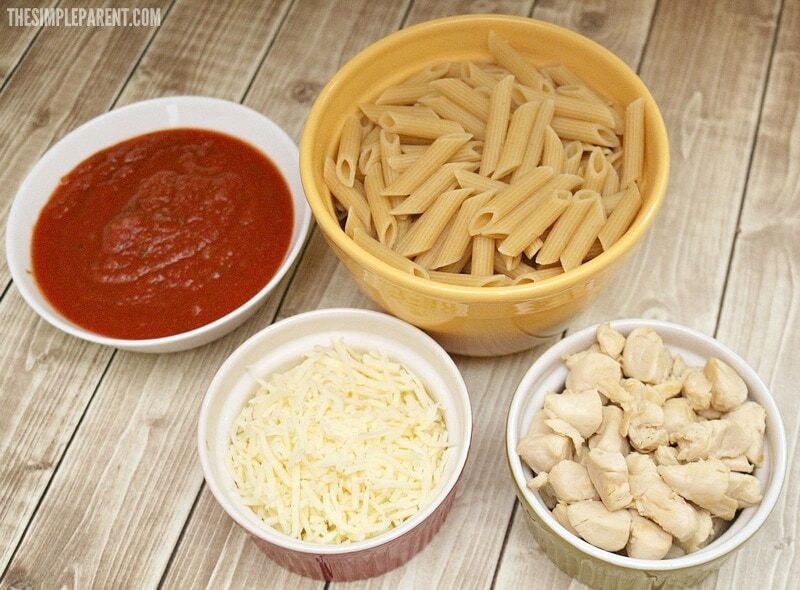 Easy Chicken Penne Pasta Recipe is Quick, Easy, & Family Friendly! Our Easy Chicken Penne Pasta Recipe is sponsored on behalf of Barilla! We enjoyed putting together this easy chicken marinara pasta for a quick family dinner we all enjoyed! Pasta is a staple in our house because it’s something I know everyone will eat. Because of that I’ve made a lot of pasta recipes over the year but the great thing is that possibilities seem endless! When it comes to pasta, there are so many different ways to make it. We’re never bored with our pasta dishes and my latest easy Chicken Penne Pasta recipe is no different! I have to admit that when it comes to making easy chicken penne pasta, I use the recipe as a chance to sneak some extra protein into the meal! With help from Barilla ProteinPLUS Pasta, I get a good source of lean protein that comes from a simple blend of egg whites, grains, lentils, and chickpeas. My family has no idea! They just enjoy the delicious taste and texture they’re used to eating! So check out how easy it is to make a great family dinner with this penne pasta marinara sauce recipe! This makes approximate 8 servings of pasta which means we have delicious leftovers for lunch the next day! It also means if you have a bigger family, this recipe has you covered! Cut your chicken breast into bite sized pieces. Spray pan with non-stick cooking spray and cook chicken through. Then add jar of pasta sauce to chicken and stir in 1/4 cup pasta water to thin the sauce a bit. Add mozzarella cheese and stir until melted. Spoon sauce over pasta servings and enjoy! If you want to saute some onions or mushrooms before you cook the chicken, they make a great addition to the sauce. I kept this simple based on flavors my kids will eat! 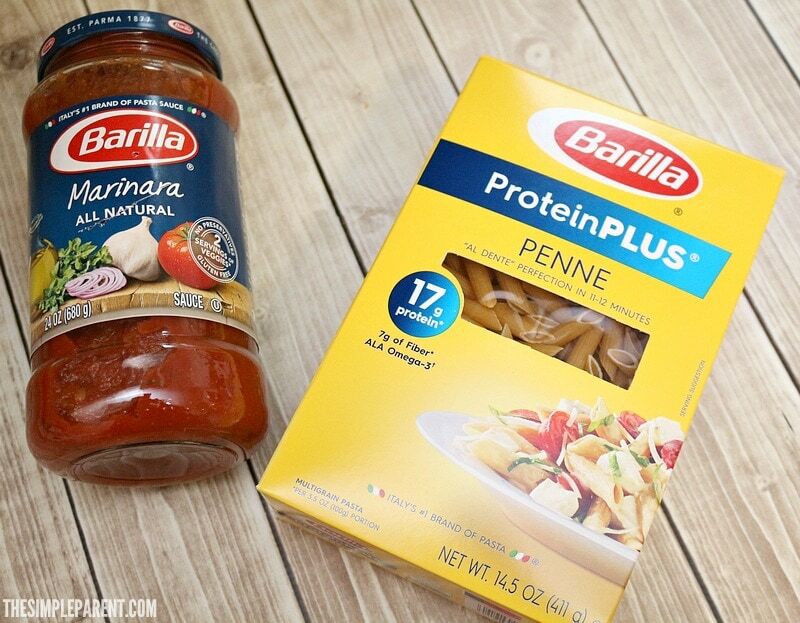 What I love about Barilla is that they make cooking good food for my family easier. I can create easy meals that are wholesome and delicious. Plus, it’s easy to pick up everything I need to make them at Walmart. I’m all about convenience so it’s a win for me! Our Barilla ProteinPLUS Pasta is a delicious wholesome pasta that provides 17g of protein (per 3.5oz portion) from all natural vegetarian ingredients. It’s also a good source of Fiber and ALA Omega-3 so I find myself picking it up at Walmart almost every week. 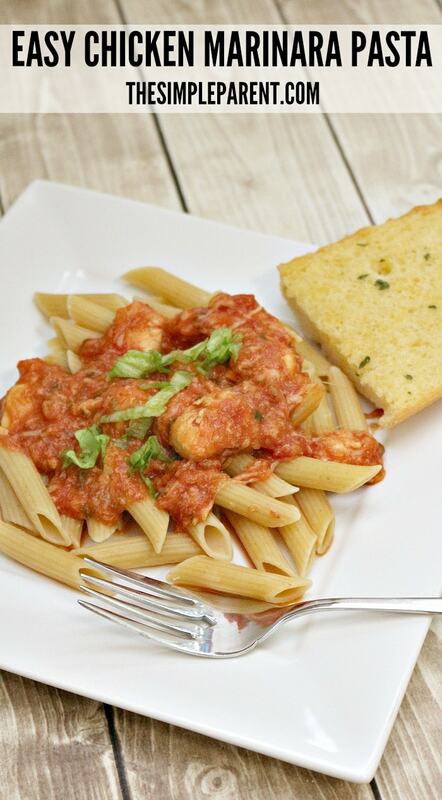 The Barilla Marinara we used for this easy chicken penne pasta recipe is gluten free, contains no preservatives, and is made with non-GMO ingredients. 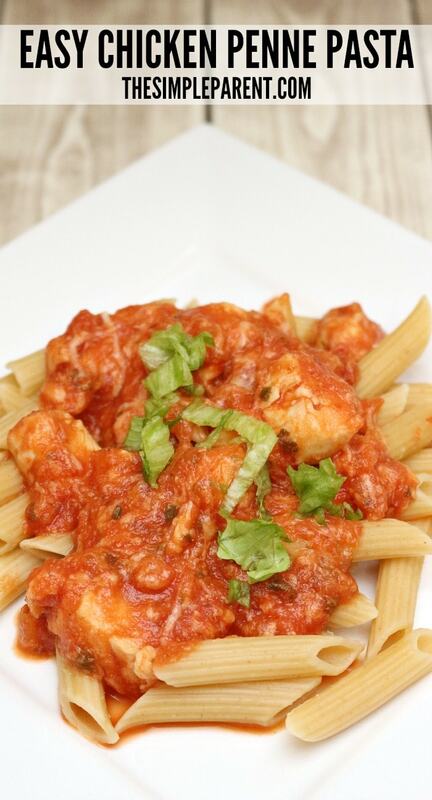 So I can really feel good about the food I’m making with this easy chicken marinara pasta! I was also excited to learn that Barilla Gluten Free pasta has recently been named one of Parents Magazine’s “Top 25 Allergy Free Foods” because we have a number of friends who need Gluten Free foods in their lives. If you’re looking to save on Barilla for when you make easy chicken penne pasta, be sure to check out Ibotta for some great rebates! 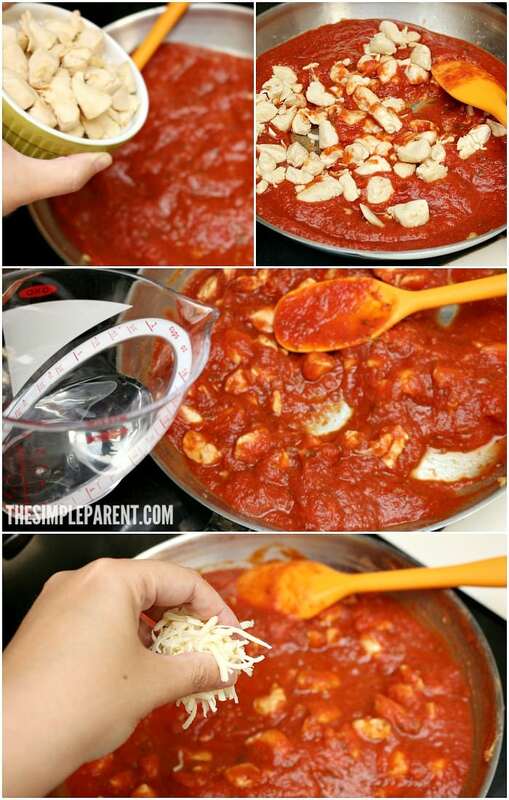 For more great recipe ideas like our easy chicken marinara pasta, visit www.barilla.com/recipes or check out some simple, delicious pasta dishes inspired by Barilla on Pinterest!